We emphasize that the world of learning and the world are the same world; school is not a platform from which to contemplate a separate reality. Learning which is tied to experience will endure and be a touchstone for further growth throughout the child's life. For example, when our students visit Yellowstone Park they are not only treated to lectures by rangers and museum curators (additional teachers for our students, as we see it), but they carry their first-hand knowledge of the location, climate, geography, and history with them. When they read about Lewis and Clark, or the Native American dependence upon the buffalo, or when they read about volcanic calderas and geothermal power, our students have first-hand knowledge and their reading will be more meaningful, their understanding greater, and their motivation higher. Students at Kino School are asked to develop responsibility for their actions, their learning, and their lives. Field trips provide students with active lessons in responsibility. Students are expected to take care of themselves and to meet the expectations of others in the joint endeavor of camping and traveling. Students at Kino are members of a community. Passive involvement, or lack of involvement, will not do. We expect students to relate well with others and to be part of making the group experience a positive one. Some ofthe most powerful lessons our students learn occur on extended field trips. They team to be part of a community, to care for others, and find that others care for them. ﻿​At Kino School we view the wider world as a classroom and encourage field trips, apprentice work, and community service throughout the Tucson area. 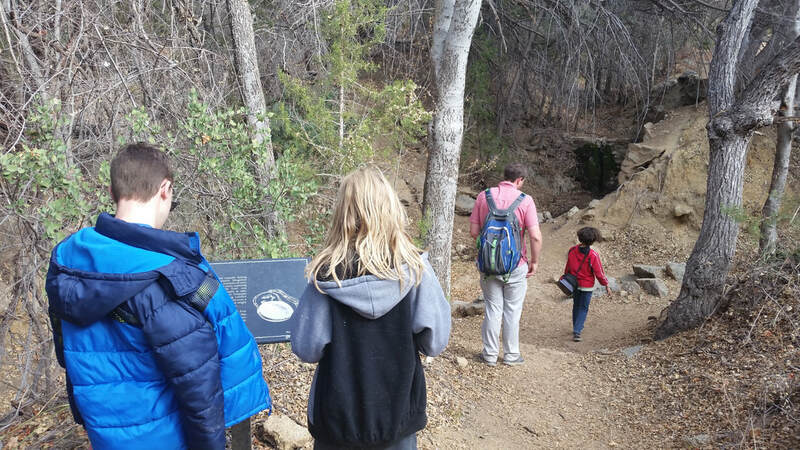 The school also offers extended field trips, which may include marine biology study, visiting museums, and camping and hiking throughout the western United States. Our trips take us far afield for long periods in close quarters: these trips are as much lessons in community as in any particular content area. Because the trips are so far from home, a student’s behavior must be acceptable to be eligible to participate. Tuition must be current, also. Permission slips for all field trips must be signed by a parent or responsible party. All field trips are taken in the school van, which is equipped with seat belts and is kept in good operating condition as set forth in Chapter 5 of Child Care Facility Rules. On occasion more students than expected want to participate in a particular field trip. At that time we may transport students in a car with a teacher or another parent. When a private car is used, a copy of the driver’s license and insurance card is kept on record. Children ages 5 years old and under 8 years old and who are not more than 4/9” tall are to be restrained in a child restraint system provided by the parent. If the child is to be transported in a vehicle other than the school van, permission must be obtained from the parent on the permission slip or in writing. Parents supply car seats for children who are four years old or who weigh less than 40 pounds, and all applicable paperwork and supplies, including water, first-aid kit, and two blankets, are carried in the van in accordance with Chapter 5 of Child Care Facility Rules. Responsibility, decision making, relating to others, and determining personal values are skills our children need for their lives today and in the future. These skills are best teamed through experience rather than within the confines of a building. Academic learning is greatly enhanced by the direct experience provided by our field trips.